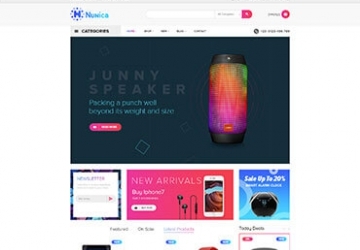 Most of the 5 homepages are highlighted with the centered logo and functioned mega menu. However, home 5 is a bit different with mega menu compacted in just a small button on the left. Large slideshow and banners will leave a place for you to display the hottest products or special promotion events that your store are running. Home 4 is remarkable with Countdown widget put right at the homepage, which will facilitate your marketing campaign, boost sale in your promotion time. Home 2 is distinguished with Leo Quicklogin module, which helps the sign in of your clients more time-saving and convenient with the popup window via social like Facebook, Google, Twitter appearing right on the viewing screen. Built with outstanding Prestashop Framwork and Ap Pagebuilder module, you can create as many profiles, headers, footers as you want. Moreover, with show more button, you can choose to show or not to show as many as products to your clients as you want. 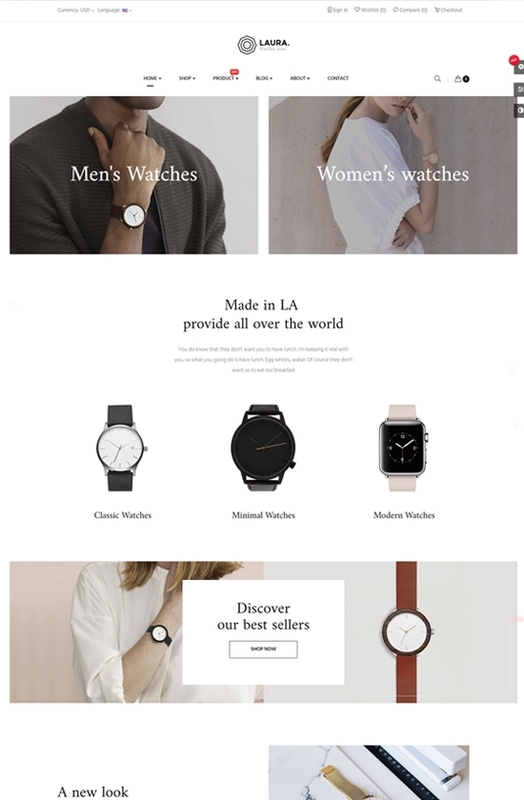 What’s striking most probably is that, Leo Laura responsive Prestashop theme supports with Adding Shortcode feature in the Contact Page (Sitemap) and Product Details page (Payment). 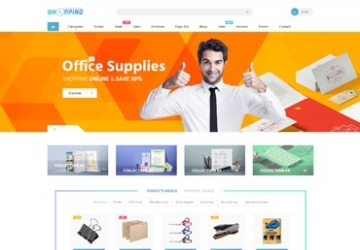 Especially, the Product Details page is supported with Count Down widget, 8 types of detail layout and 2 types of the product list. Furthermore, Leo Laura is equipped with Leo Feature module for more user utilities like Add to Cart, Fly cart, Quickview, Add to Wishlist, Add to Compare feature. Also, Leo Blog module will help your site SEO better with your product-related blogs or articles to share with your clients. Last but not least, the footer with Social buttons and Shop information with increase your store’s reliability. 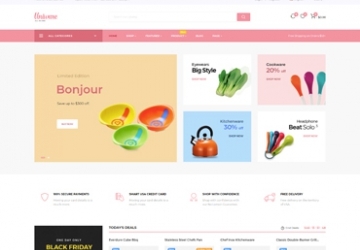 What makes Leo Laura Responsive Prestashop Theme special?